Operating Grivel's Lambda HMS Twin Gate with one hand takes some getting used to—the aluminum carabiner features both a wire gate and an opposing keylock solid gate, making it a locking carabiner with some unique hand-eye coordination demands. But by the end of the learning curve, I looked forward to hearing that satisfying double-click announce my security every time I used it to clip a high first bolt. When I returned to Colorado after a February climbing trip to Smith Rock, Oregon, the Lambda had earned a provisional two thumbs-up. As it turns out, clipping bolts on south-facing stone didn't quite translate to leading water ice in snow-soaked Colorado. 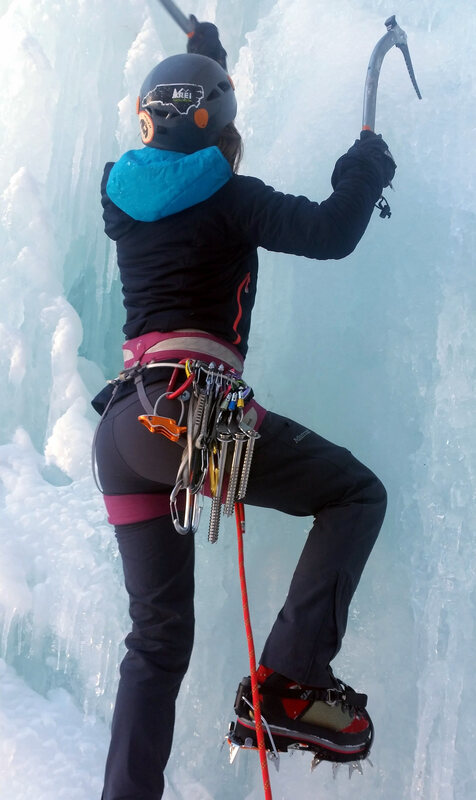 The locking feature created by the opposing gates was more of a liability than an asset when I was ice climbing in Clear Creek Canyon and Vail's Rigid Designator Amphitheatre. Though the screwless design ensured the mechanics didn't freeze shut, the close proximity and low profile of the gates made them difficult to manipulate without bare hands. My partner wore a thinner pair of gloves and he fumbled with the gates just as I did in my well-insulated gloves. In the absence of hands-free stances, screwgates started to look pretty attractive. 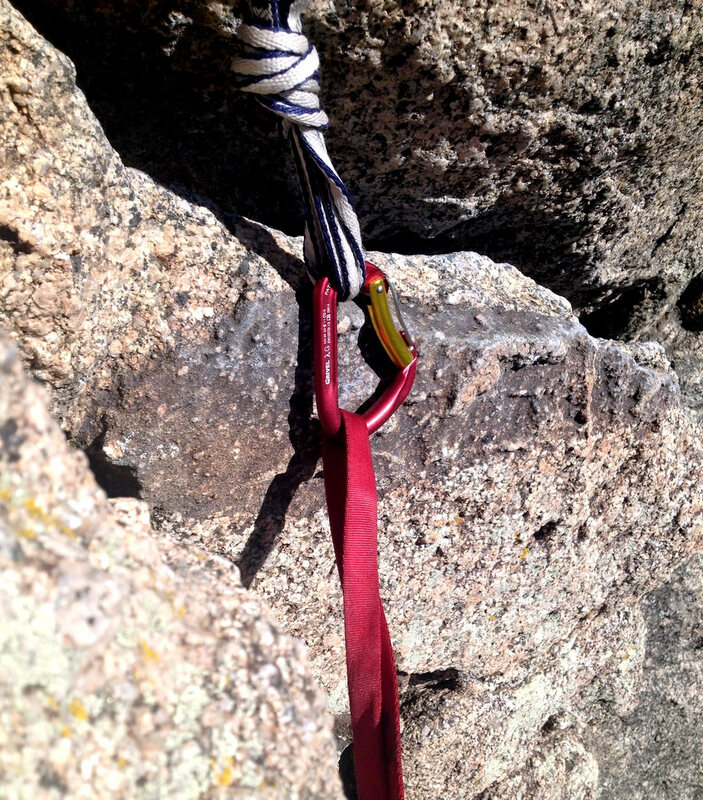 The Lambda did redeem itself on trad lines in Eldorado Canyon near Boulder, Colorado, later in the season. The bent gate made it easy to clip the rope to crucial pieces of gear, and the 11 kN minor axis rating means the 'biner could hold the biggest fall I might ever take, even cross-loaded. It brought some highly sought-after peace of mind while I was building the anchor for a hanging belay from a tenuous stance. The broad pear shape was ideal for Munter and clove hitches, and it performed beautifully on multipitch rappels in Boulder Canyon. However, the wire gate's wide berth barely admitted my Petzl Grigri belay device. I was surprised that a product billed as an "ideal" belay carabiner required so much twisting and shoving to get it clipped into the device. 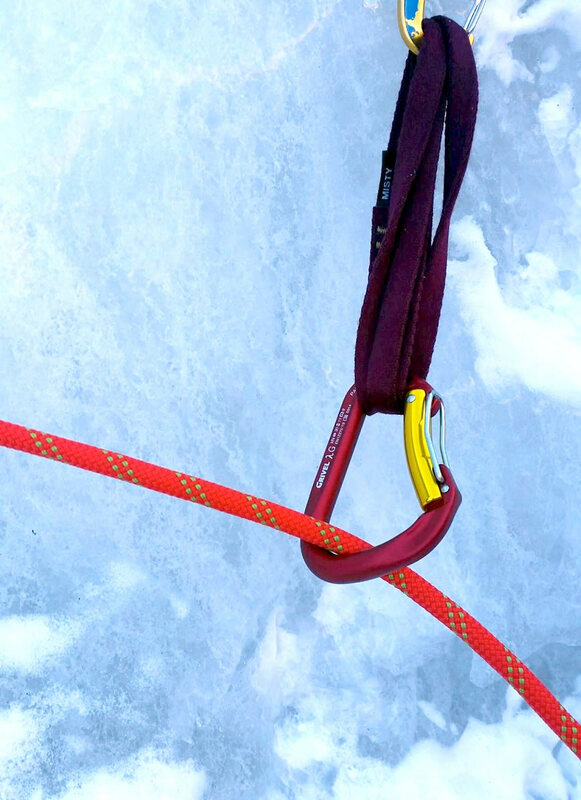 However, the Lambda did sink as smoothly as other lockers into a Black Diamond Index Ascender, and its low weight and one-handed operation made for increased efficiency on aid climbs. In a tube-style belay device, the Lambda's roomy curves and auto-locking assurance performed beautifully. I now use it exclusively for rappels and ATC belays. At 69 grams, the Lambda is lighter than many auto-lockers of similar price. After a little practice, it's as easy to clip as Black Diamond's lighter-weight VaporLock Magnetrons (56 grams), but unlike the Magnetrons, which are $24.95 to $29.95, depending on the model, the Lambda is comparatively inexpensive and can withstand heavier cross loading. I'd be hesitant to replace every locker on my rack with a twin gate, but I'll definitely continue bringing the Lambda along for fast anchors and critical protection points—as long as I'm climbing rock. The Lambda auto-locks, clips easily, resists freezing shut, and withstands cross-loading. It's difficult to manipulate with gloves on, and it can be hard to clip it through some belay devices, such as a Petzl Grigri.